Peterborough United FC chairman emphasized he’s not “overly happy”, but his club’s supporters succeeded in making London Road a protected Community Asset. Football club owners are frequently getting upset over English fans trying to ‘reclaim the game’. It’s not different with Peterborough United, where the Posh Supporters Trust applied and succeeded to list their London Road stadium as a Community Asset. This means that in any case of buy/sell transaction their group needs to be notified well in advance as representation of the community to whom the ground is valuable. The community may then construct a counter-bid and acquire the stadium to preserve its status for them and block replacement by retail or other developments. 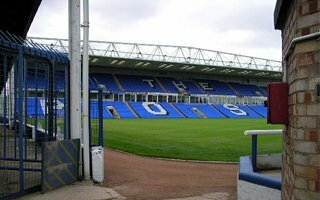 With Peterborough United it’s slightly different than in some other cities across England, because chairman Darragh MacAnthony is keen on buying the stadium, which will now get more difficult. But as with most clubs in England, the step by supporters follows great uncertainty over their beloved club’s future. Posh fans are still seething about the way London Road was sold to private buyer 10 years ago. It then was sold to Peterborough City Council four years ago for £8.65 million by businessman Colin Hill and rented to the club.